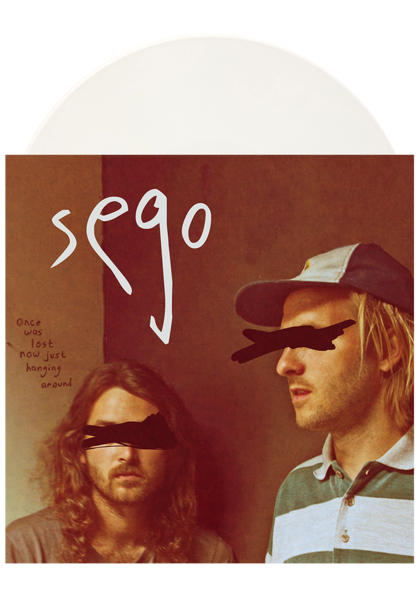 Sego’s Once Was Lost But Now Just Hanging Around is a buzzy, quirky venn diagram of an album, overlapping the angst of your high school years, the nihilism of your early 20’s, and the raucous fun of a birthday party in grade school. There’s elements of The Rapture in their sound, particularly in the disco-punk funk of “The Fringe”, as well as the earnest-slacker vibe of The Henry Clay People in “Fool Around”. But what sets Sego apart is their comfort in both the world of fuzzed-out indie rock, as well as the mosh-dance style best popularized by DFA records. Their dual chops means this album covers a wide spectrum of sound along those two extremes, keeping their wit and undeniable talent at riff-writing sounding fresh the whole way through. Sego’s track “Whatever Forever” was featured on VINYL MOON Volume 029: Marrow Siren.